As we head into the new year, I’m guessing that most of you have goals of being more organized, getting healthy meals on the table more consistently, and basically just being healthier, right? There are programs all over that are helping you do all of those things. There’s the Kon-mari thing that helps you organize your home. There are a billion meal-planning and weight loss programs. But you know what none of them take into consideration? The fact that you literally have zero time to actually implement any of them. Sure, they may have some amazing ideas that you’re 100% going to do come January 1st, but by the 21st, you’ll probably realize that you just don’t have time to spend making them happen. 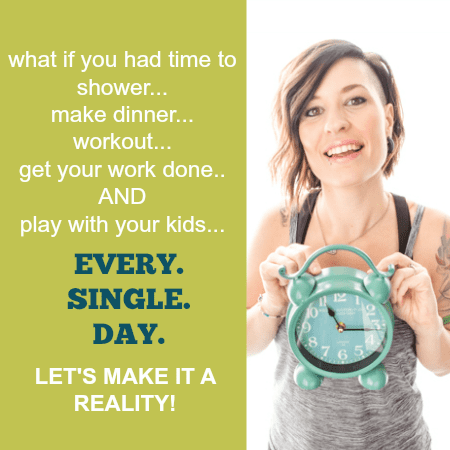 But I know how important it is to do some planning if I want to get healthy meals on the table for my family every night, especially on the busiest of days. That is why I’ve figured out how to get all my meal-planning done in 20 minutes. Just 20 minutes every week then I’m done and can move on. On to what matters. On to the tickle fights with my son. On to movie night with my favies. On to never-ending monopoly games. On to date night with my honey. So how do I do it? How do I get the daunting task of “what’s for dinner?” done in only 20 minutes every week without drawing a blank as soon as I sit down to make a list? Store all Your Recipes on Pinterest. Maybe you hate Pinterest. That’s ok. You don’t have to use it for all the crafty stuff. Recipe boxes full of index cards are outdated and take up space. Cookbooks require hours and hours of sifting through them to find exactly what you want to make. Plus it’s just overwhelming to have recipes all over the place. Saved on Facebook, stuffed in binders, in a recipe box, and some on Pinterest. Have all your recipes organized on Pinterest to make life a billion times easier. Do you feel like every time you go to make up a menu of the week ahead, you’re just pulling from the entire universe of recipes? While it’s totally fun and acceptable to try out new recipes on your family, it’s important to stick to the ones you know they’ll love. You’ve cooked them before so they don’t take as long. Plus, there won’t be much of a fight at dinner time when it comes to actually eating it. Have a list of tried and true recipes, or better yet, how about a whole board on Pinterest dedicated to recipes your family loves? You know what always seems to get in the way of getting dinner on the table? Life is unpredictable. Life is messy. Life is full of late nights at work. Life is full of headaches. Life is unplanned trips to the Urgent Care for sore throats. Life is full of traffic jams on the way home. This is why it is so important to always have the ingredients in your pantry for a back-up meal. Something you can throw together in seconds, or better yet, something your husband or teenage son can make. I’m thinking black bean & cheese burritos. Grilled cheese sandwiches. Quesadillas. EASY! Because you never know when something will come up and the dinner you planned just isn’t going to happen. These back-up meals may seem unhealthy, but I promise you that they’re better than anything you’d pick up at the drive-thru! BONUS TIP because I care about you so much! Seriously. If you want to save even MORE time, find out if your local grocery store offers online ordering. I know most Walmart stores are, and even my local grocery stores are in my medium-small-ish town is offering it. Going to the store and picking up my groceries on the way home from work without even getting out of my car is a complete life-saver. Plus, I don’t end up with tons of impulse items in my cart like I would if I was shopping in the store.